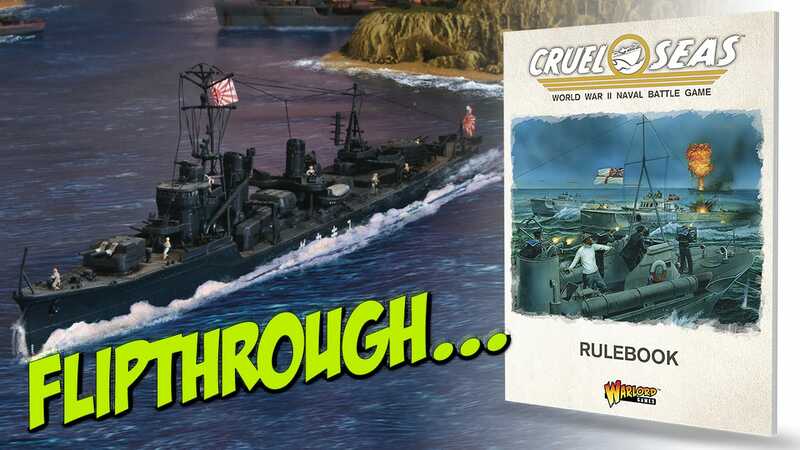 Cruel Seas is an A4, perfect bound softback rulebook, printed on 108 pages of high quality paper stock. Released by Warlord Games, this is a World War Two Naval battle game which focuses upon the smaller ships of the war, fighting around the coastlines of the world. Cruel Seas has been getting a lot of press recently, last week we presented an unboxing for the Starter Set; Strike Fast, Strike hard, here we concentrate on the rulebook with comes with that set, but which is also available separately. What follows is a transcript of the video. The rules begin with a comprehensive Contents page, and follows with a two page introduction to the aim of the rules; the simulation of combat between the smaller craft during World War Two. This is nicely followed by a double page spread of a completed model kit of a Vosper motor torpedo boat, which is labeled for those unsure of the correct nomenclature for generic ships of this type. The basic rules are remarkably simple, but cover a whole host of topics. Scale-wise, the miniature vessels are 1/300th, which colours some aspects of the rules. However, other scales of ships may be used. Each type of ship has a data card, which is used to chart the potential speed of each vessel, the weapons mounted, damage points inflicted and similar. The Turn uses a ‘blind draw’ system (used with great effect in Warlord’s Bolt Action World War Two game), with one dice or token per vessel being placed in an opaque container. Firing is affected by the range, speed of a vessel, skill of a crew and various other factors. Misses with heavier weapons become plumes of spray, which add to the chance to hit. Torpedoes work slightly differently, being launched and tracked using markers, which can be possibly be avoided and may actually be duds. Of course, if they do hit, they cause a great deal of damage. The aim of the game is to create a narrative for your ships and crews, so included in the rules are 8 scenarios which act as helping to create a vessel’s ‘story’. They also develop your knowledge of the rules in the first instance, with the first 3 scenarios using the majority of the basic rules and the remainder using the Advanced. These advanced rules add in a more varied approach to turning, more movement options and the opportunity to ram your opponents. 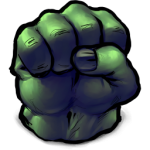 Another major part of the advanced rules is the Critical Damage section, where natural rolls of a 6 on a D6, are followed by a D10 roll, which is cross-referenced with a table to see what the Critical Damage result is. This then has an effect on the ship, which can be saved against, but degrades the ship’s ability to fight. Other rules include; the opportunity to make repairs, using specialist weapons and equipment, the use of terrain for scenario opportunities, such as Lighthouses, and weather. An interesting section of rules are for the ‘Tiny Boats’ used by the German and Japanese navies, being either mine carriers, fast attack boats or suicide ‘torpedoes’. There have been efforts to integrate aircraft into the rules, and the obvious submarines. Both these sections have enough information and rules to use them, but there are promises of more detailed ones to come. A useful and interesting read covers the history of the ‘heroes’ of the game, the motor torpedo boats, plus the different Theatres of War within which they operated. An outline of the various national navies are also included, with the obvious, such as the British Royal Navy, and the less so, like the Soviet Navy. The remainder of the rulebook contains rules for using a points system, and provides various ship rosters for each of the nations, with gaming stats for a whole host of ships of various types. These help with the Playing a Campaign rules, which are sensibly brief and user friendly. Lastly, we have quick reference sheets, charts and a Bibliography to aid research into the whole topic – a nice touch. Having tried these rules a few times, we can confirm that they make for fast, furious and fun games, featuring roaring engines, stuttering guns and the swoosh of torpedoes. Equally, the book itself is easy to use, has a wealth of options and covers pretty much every area required to get you gaming. 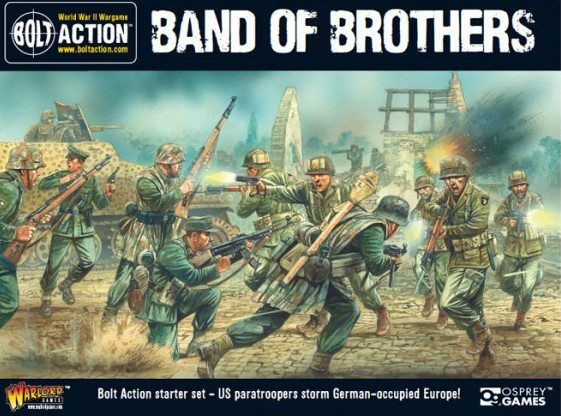 This is a well-researched and thoroughly play tested product, which does exactly as intended and adds to the stable of games from the ever-expanding Warlord Games.